Kathy Vant Foort is owner and founder of Backyard Buyers, a business that helps property owners sub-divide and develop excess land. Kathy is one of the few female Registered Building Practitioners in Victoria. Having grown the business from concept to start-up, Kathy now manages her company from Melbourne. Nearly ten years on, business has never been better. “I have two whiteboards visible from my desk. One has long-term objectives and targets. It also has a list of big or innovative ideas. Social media companies are the best technology employers to work for. According to employees, Twitter, LinkedIn and Facebook are the best three technology employers for 2014. Google is ranked fifth, with Interactive Intelligence the only ‘traditional’ tech company in the top five best technology employers to work for. Not only did social media providers dominate the technology sector, they also seized the majority of positions in the overall top five rankings. Social media is transforming lives in more ways than we could have expected. From record initial public offerings to the birth of the Arab Spring, these companies are now setting the standard as the employers of choice. When Glassdoor, a free online jobs and career community, revealed its 2014 Employees’ Choice Awards this month, it also provided a snapshot of the ever-growing influence of social media beyond a screen. 2014: While Bain & Company has stolen the 2014 crown, social media companies dominate the top five, filling sixty percent of the top five positions: Twitter, LinkedIn, then industrial Eastman Chemical, followed by Facebook in fifth position. Glassdoor has aggregated millions of salaries and anonymous company reviews, surveys and other “employee generated content”. The US rankings of the 50 best places to work in 2014 is now in its sixth year and provides a unique confirmation of social media pushing the boundaries in more than just the technology industry. The top five of the last six years is like a storybook of our change in our society: 2009 did not include a single social media company. Traditional industries dominated, with General Mills, one of the world’s leading food companies, with 100 consumer brands, topping the employee rankings. Business services firm Bain & Company was ranked number two and is noteworthy in that it is the only employer to be consistently listed in the top five for the last six years. Bain & Company went on to claim the leader’s jersey in 2012 and again in 2014. The lessons for 2014? Watch this space: social media companies are innovators in more than just technology and IPOs, they are disrupting many different aspects of business and society. And their employees love it. 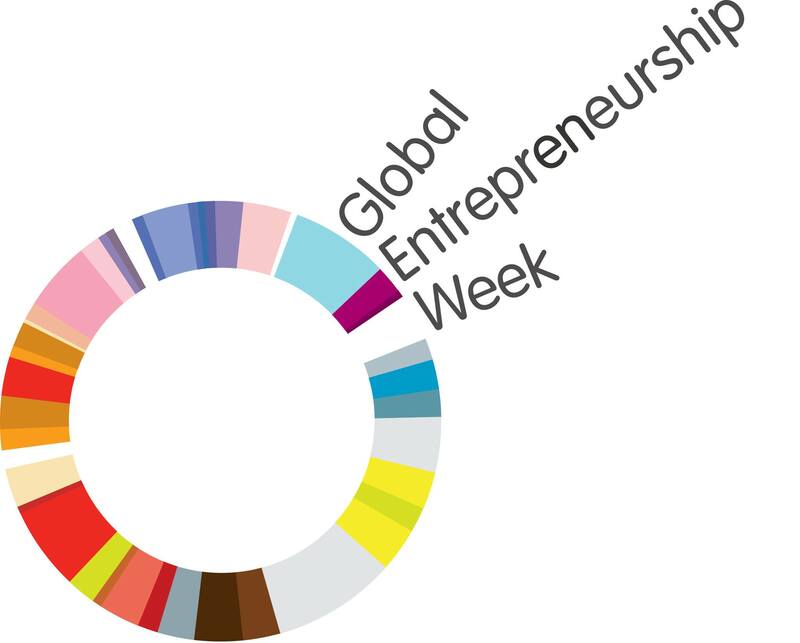 November 18 – 24 is an exciting time each year for the start-up, innovation, education, entrepreneur and broader communities of the world: it is Global Entrepreneurship Week (#GEW). And it is really “global” in every sense of the word. The growing popularity of these events is partly due to the global connectivity of social media networks. Never before have so many buddy entrepreneurs had so much opportunity to use ‘free’ global communications tools to inspire, share and make connections, experiences and ideas. Twitter is buzzing with the hashtag #GEW, #GEW2013 and other country specific hashtags and LinkedIn provides opportunities for targeted networking: social media helps develop international relationships, introduced through #GEW, that many innovators will find as they pursue their goals. Having worked with many accounting and invoicing systems over the last 20 years, Optimize Business knows a good billing solution when we see one. That is why Optimize Business uses and recommends Freshbooks. It offers the convenience of cloud accounting and an easy of use and efficiency you have to see to believe. It is great for small business start-ups who can use it free for three or less clients and even better for bigger businesses who can streamline their invoicing process with the click of a button. And the best part? Clients pay quicker because of the paper-less email delivery and the easy of payment! This is why Optimize Business is pleased make Freshbooks available to Australian and New Zealand business through our relationship with Freshbooks. In fact, Freshbooks can be used by any business, anywhere! From Deli to Denver, over 5 million businesses are using Freshbooks. © 2012 Andrew McIntosh CPA, Optimize Business. As a Freshbooks partner, Optimize Business may receive a commission for referring satisfied customers. Twitter for Business: link your tweets to appear on Facebook! Get your Tweets posted on your Facebook page automatically! 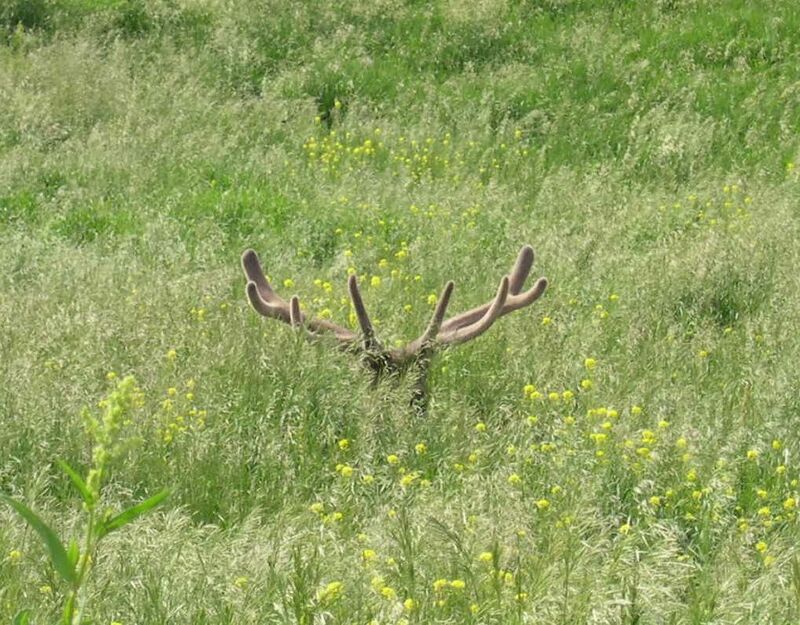 It is easy to set-up, go to the Twitter Help Center to learn more. The Facebook Settings page (when you are logged in as a profile Administrator in Facebook) has a “Link to Twitter” button. This is a good way to post onto Twitter if your primary social media tool is Facebook. But remember the most Twitter users will see of your Facebook post is 140 characters. This means you need to fashion your opening Facebook wording carefully to still make sense once it posts on Twitter. The link to your Facebook post in the Tweet will also decrease your available characters. Optimize Business suggests doing the reverse: log into your Twitter account and then have your Tweets automatically post onto your Facebook page. This will mean that you have more control over the final text outcome that is communicated on both social media platforms. You can carefully craft your Tweet to 140 characters and this will then look and ‘feel’ better across both mediums. You will probably find you end up doing more Facebook entries as well, because avid tweeters often end up tweeting more from their mobile devices…. so why not communicate to your Facebook crowd too! If you want big, attention grabbing photographs or links to interesting articles, simply post direct to Facebook to ensure you do not get a thumbnail of the Twitter photograph. 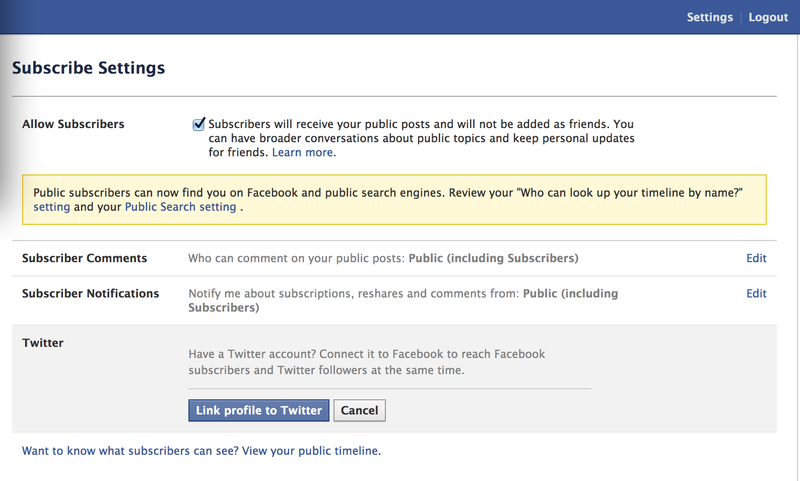 Facebook for Business: allow subscribers! For the sake of business, don’t for get to “Allow Subscribers”! If you are running a business page on Facebook, don’t forget to go into your Facebook Settings (found on the top right of your page) and tick the “Allow Subscribers” check box. This means Facebook users will be able to find you on Facebook, via public search engines and connect… which is probably why your business is on Facebook, so people can find out about your business! Your customers and the public can subscribe without becoming a “friend” also.